VHT’s methods for its drone program are surprisingly simple – they attach a GoPro camera to the belly of the drone, which a licensed pilot controls via a tablet or mobile device. The camera, which can capture both 1080p/4k video and 12-megapixel images, is attached to a 3-axis gimbal to ensure smooth, vibration-free video. As a result, the drone can capture images and video from myriad angles and heights in around 30 minutes (click here to see drone video). Pricing, Balduf says, ranges from $199 to $549, depending on the market, home listing price and type of drone service chosen. 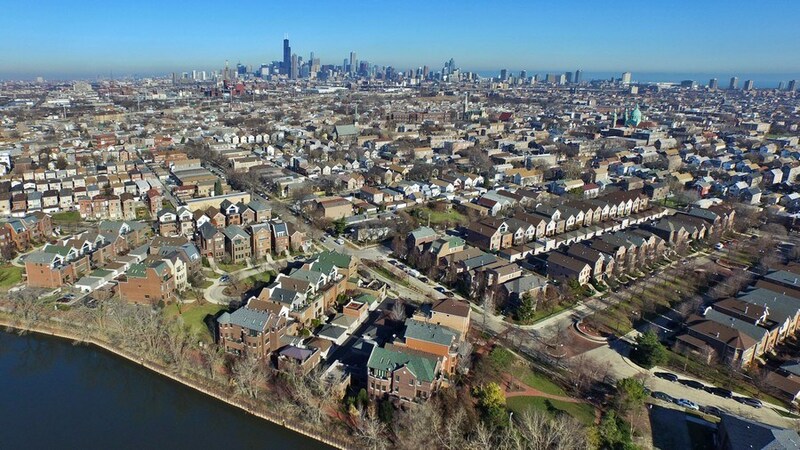 Balduf says there are uses for drones outside of listing photos/video – for instance, agents could use a drone during an open house to provide prospective buyers with an aerial perspective of the neighborhood – but he stresses that drone technology is still in its early stages, and he expects it to evolve considerably in the coming years. Drone programs operate under considerable regulation. In addition to federal regulations and laws – such as a 500-foot height limit – there are required aviation training and licensing procedures, and commercial operators must also consider state and municipal restrictions. For instance, in Chicago, there is an ordinance prohibiting the flying of drones over police stations, hospitals or stadiums, and other local municipalities are considering similar restrictions; currently, the Illinois legislature is creating a task force to explore statewide drone standards. However, when VHT’s drones are in operation, Balduf says the only rule agents need to abide by is being on site when the machines take flight.